Check the calendar for the current schedule of services. Nitzanim: Birth to Kindergarten – Nitzanim meets the second, fourth, and fifth Shabbat of the month from 11:00 am-11:45 am in the Multipurpose Room. The highly interactive service includes Shabbat songs, abridged prayers from the Nitzanim Siddur, the Torah Service complete with processional, and a story pertaining to a current holiday or the week’s parsha. Gan Shabbat: Kindergarten to Second Grade – Gan Shabbat meets the first and third Shabbat of the months from 11:00 to 11:45 am in the Multipurpose Room. The goals are to increase familiarity with the prayers and to connect to the parsha with a story. 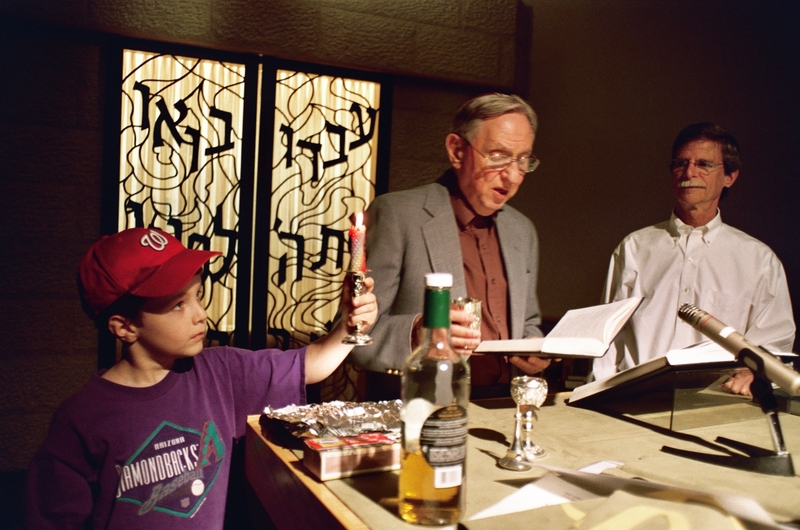 Shitufim: Third, Fourth, and Fifth Graders and their families – The Shitufim minyan meets every Shabbat during the school year from 10:30 to 11:30 in the Zahler Social Hall. Junior Congregation: Sixth Grade Program and Class – Junior Congregation meets every Shabbat during the school year at 9:30 am in the library.